For the hunters and shooters, it is nothing more important than keeping the gun properly while not in use. 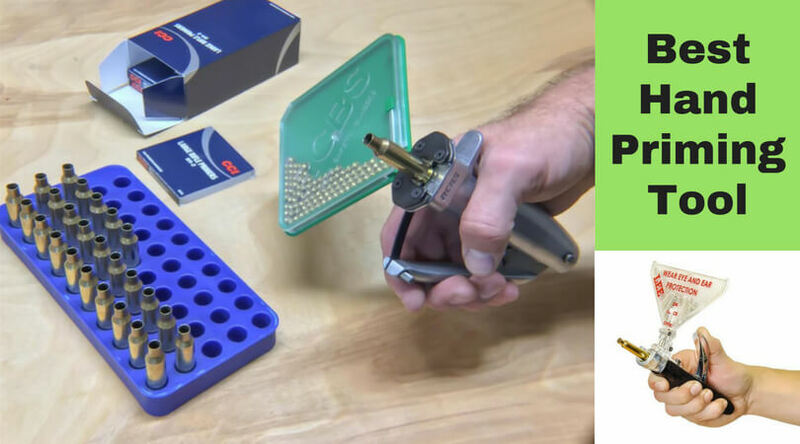 Whether you use a handgun, shotgun, pistol, or rifle, you should always have a proper storage material for proper maintenance of it. Today, at the Gun Smithing Hero, we will discuss the best gun sock for storage. 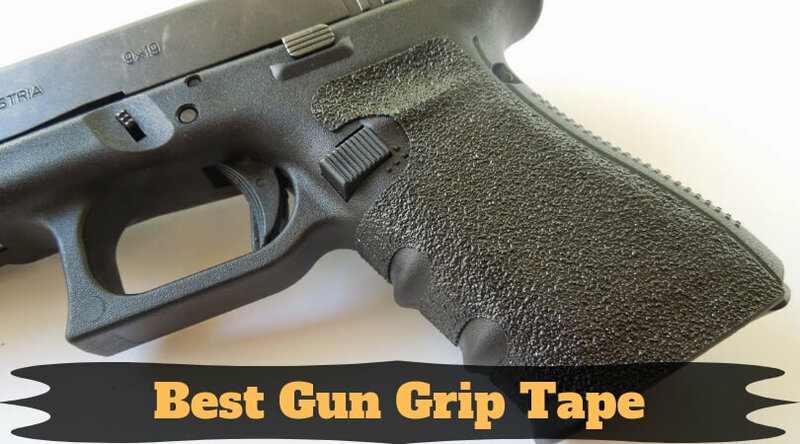 It will help you to find the top gun sleeve for storing your weapon with proper care. We will see gun sleeves like silicone gun sock, leather gun sock, and waterproof protective gun sock. Without discussing more, let’s get to the list. Remington has manufactured this gun sock for the long guns with size up to 52 inches. The Silicone treatment will protect the weapon from the harsh weather conditions. You can use it to store your gun while not in use or during travel. It is the highest rated gun sleeve on the list. This protective sleeve will keep your firearm safe from heat, smoke, dust, and humidity. 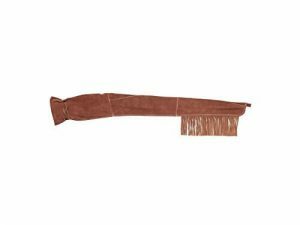 It will help you to slip your gun in and out of it quickly & easily due to the soft cotton material. The 12” sack is ideal to store the handgun and 52” length is enough to keep rifles and shotguns. 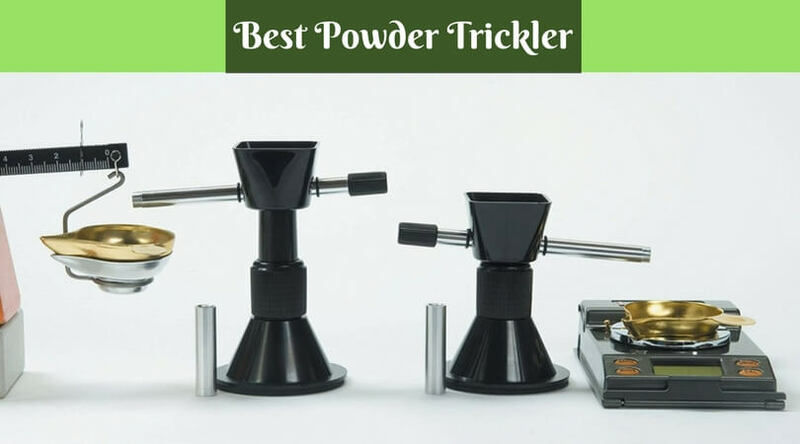 It has drawstring closure which will not let the gun slip during traveling or storage. It is perfect when you use your gun in the outskirts and want to protect it in the field. Allen Company designed this high-quality protective sleeve for storing your valuable firearm. Its top quality fabric will keep your weapon safe from the bad outdoor conditions while traveling or not in use. 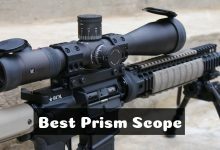 It can store both the scoped and non-scoped guns. You can choose from the 42” and 47” sizes according to your weapon size. The silicone treated material will protect your firearm from rust, humidity, corrosion, and moisture. It is safe for the environment too. Its cinch strap closure will not allow the gun to slip out. 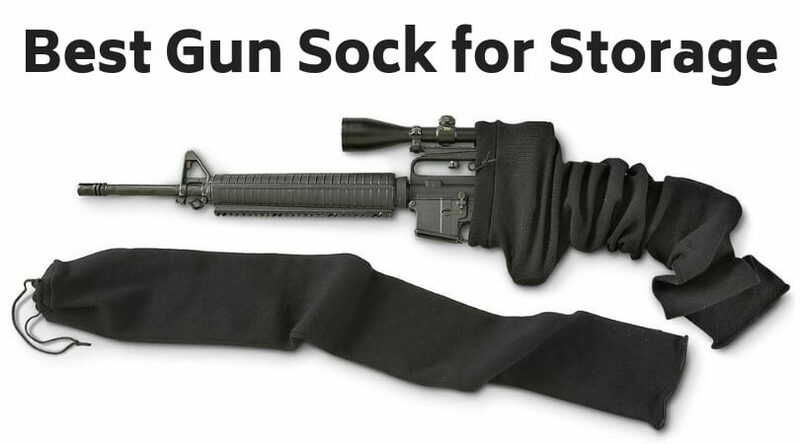 This gun sock is best for keeping your weapon safe during transit. The long, comprehensive, and super flexible design of the gun sock from Arcturus will protect your gun and rifle while you are traveling or not using them. Not only the rifle, but it will also safely keep most of the accessories of the weapon. I recommend this sleeves for the professional shooters and hunters. 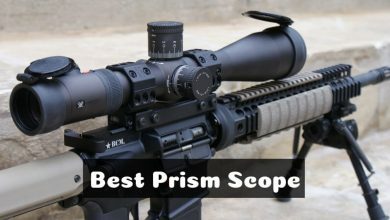 It has an extra large design which will fit the rifles with the size of up to 47-inch by 6-inch. The silicon-treated material will not hold the moisture and thus helps to extend the life duration of the firearm. Along with the rifle, this sleeve will also store the scopes, pistol grips, and other accessories. It is a great storage option if you are traveling long distances or keeping the weapon out of use for long terms. This sock will protect the gun from scratch, dirt, wind, and other environmental effects. 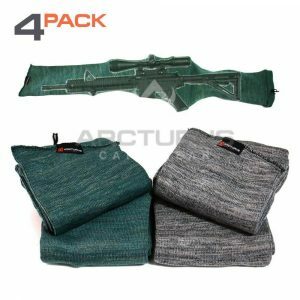 You will get a pack of four gun sleeves. You can choose the colors from gray and green (4 green, 4 gray, or 2 gray and 2 green). 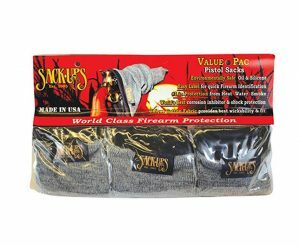 This sock is specially designed for keeping your pistol or handgun safe while traveling or storing. The multiple sleeves in a single pack will help you to store your number of weapons and avoid buying a separate sock for each firearm. The silicon-treated material protects the gun from moisture, wind, and rust. It also prevents the scratches and dings on the firearm. You will get a pack of five gun socks to store your multiple weapons. The drawstring closure will store the pistol or handgun tightly and not let it sleep from the cover. This protective gun sleeve has a size of about 15 1/2 inches. DecoyPro designed this extra-sized gun sock for storing or transporting your weapons safely. Compared to other standard gun sleeves which are mostly 4-inch wide, this gun sock has a width of 6 inches to store your rifles with scopes and other accessories. It comes with an ID system to quickly identify your weapon without opening the sleeve. The size of 6-inch wide and 52-inch long is enough to store the firearm with most of its accessories. 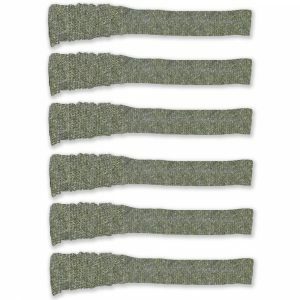 The breathable material of the sock perfectly protects the shotguns, pistols, and rifles from the moisture. It has a drawstring closure which will not let the weapon sleep from it while traveling. sleeve from DecoyPro. You will not regret your purchase for sure. 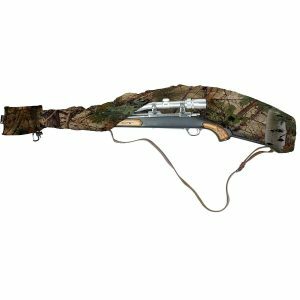 Carolina Ultimate is one of the famous manufacturers of sleeves and covers for hunting guns and other tactical weapons. As the cover is designed and made in the USA, there is no doubt about its quality and durability. It has a mix of material including 48% Acrylic, 48% Cotton, and 4% Spandex. The gun sleeves are enough in size to fit most of the pistols, shotguns, rifles, tactical guns, and other weapons. It has a silicone treatment which will protect the weapon from the moisture and wind effects. Whether you put your firearm in a soft or hard case, this sleeve will protect it during traveling to longer distances. It comes in a pack of six which means you can store multiple weapons without buying extra sleeves. You can also choose the package with 1, 2, 3, 4, or 5 gun socks. You can stretch it to up to 52 inches for storing your long rifles. This waterproof gun cover from Slicker will protect your firearms from the damaging environmental effects. 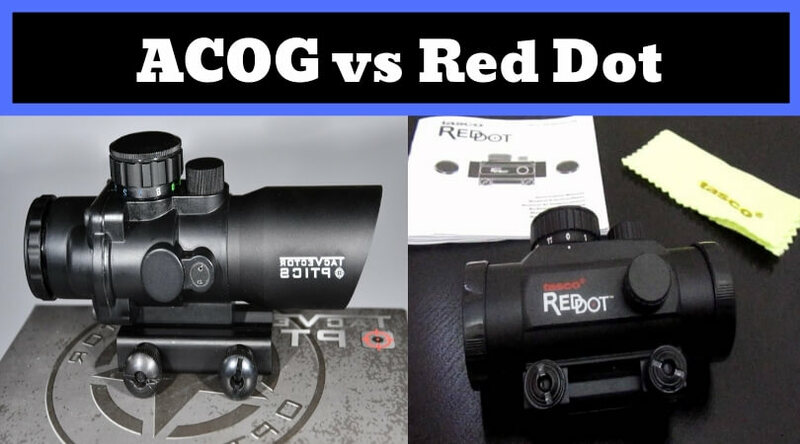 Its universal size will fit all types of shotguns, pistols, scoped rifles, and other guns. 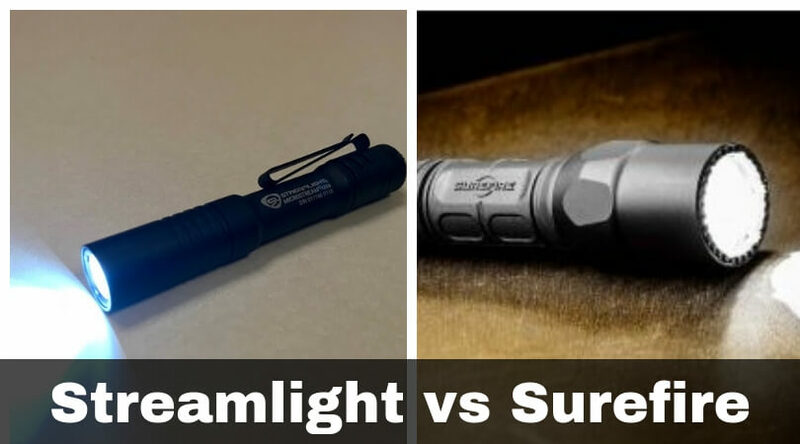 It has a lightweight and waterproof material which will protect the weapon from the wind, cold/wet weather, moisture, and other outdoor conditions while storing or traveling. This rifle cover will hold the firearm firmly. It will protect the gun from mud, dirt, dust, rocks, etc. It also saves the time to clean guns by keeping them safe in the cover. 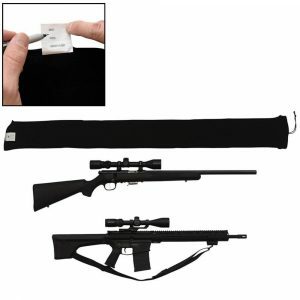 This sleeve is perfect for hunting as it is easy to grip and don’t make any noise while you are taking an aim and firing at the animal. It will not sleep out of your hands. A drawstring pouch at the end of the cover makes it easily accessible and storage friendly. It is an ideal cover for the guns from the size of 38 inches to 56 inches. If you want a leather gun sleeve for keeping your weapon safe from the harsh outdoor conditions, then go nowhere than the Triple K gun socks. The brand is recognized for providing protective gun sleeves and other gears for maintaining the firearms. The leather material is heavy for protecting the guns but at the same time soft to handle. The fringed end at one side gives a different & attractive look to the sleeve. It has an overall length of 53 inches which is enough to keep long rifles, shotguns, etc. The leather flap at the end keeps the dirt, dust, and other damaging particles outside the sleeve. The top-quality leather will provide service for years which makes you worry-free from buying protective sleeves frequently. If you do not take proper care of your gun, then you may have to face the problems of rust and corrosion on your weapon. Also, improper storage of the gun can cause the malfunction of it and severe damage to the user as well. To prevent such things from happening, you should have a proper storage space and equipment to keep your gun safe while not in use. The protective gun sleeve will keep your firearm maintained and cleaned for the future use. It will also protect the weapon from the harmful outdoor elements like rain, dust, wind, etc. which can damage the surface. Here I have mentioned different types of gun sleeves with their main features and usages. As it is not the thing that you buy too frequently, so you need to be picky when you buy the gun sleeve for storing your weapon. Let me know your favorite gun sock from the list. Share your thoughts in the comment section below.